While trying to double-check facts for my entry on the Bataks of Palawan, I came across this letter. Looking at the photos, I wondered why the people looked familiar—even the clothes that they were wearing. Was it also a coincidence that pancit was served for lunch that day? Then it hit me. 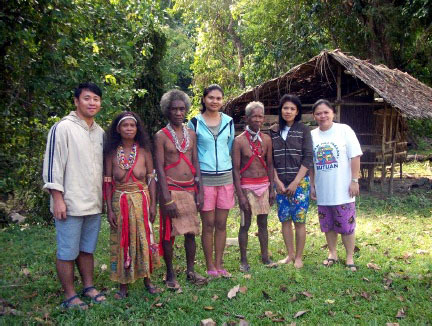 This was about the Batak tribe on the day that I was also there! The letter chronicled the same day from a different perspective. The letter was written by Dr. Welthy Villanueva (aka Dr. Wingky), Missions Director of Heaven's Eyes Tribal Missions. 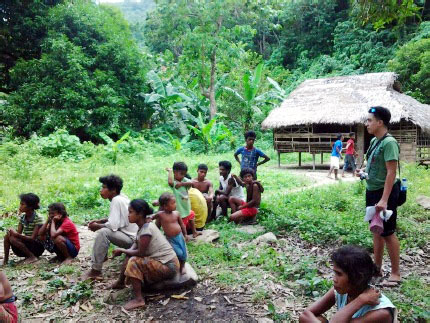 It was addressed to friends and partners of the organization, updating them on the school being built for the Batak children. Too bad I wasn't able to talk to her. The letter let me see the same day from a different perspective. It chronicles her struggles, dedication, and hope for the Batak's new school—chronicles that I never knew about while I was there. Dr. Wingky is the Missions Director of Heaven's Eyes. She is responsible for the new school for the Batak. "It was a day I thought would never arrive anymore. [...] With all the hindrances that arose, I seriously doubted whether it was still God's plan for us [to build and operate a school for the Batak.]" 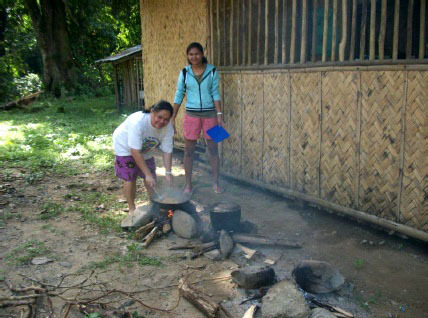 "...Communication between the tribes and I became very difficult... the weather wouldn't cooperate, a government project wanted to duplicated our program...then rumors that the tribe doesn't want our group ... I was considering giving up." 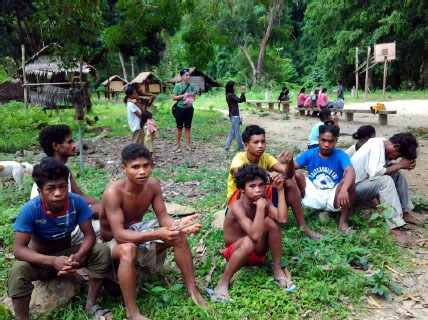 Dr. Wingky mentioned that the Bataks denied rumors that they didn't want the education being offered to them. 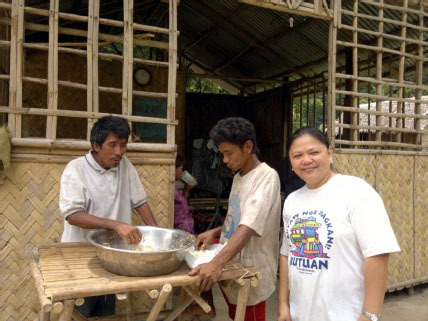 They told her that "they still wanted what they have asked God for since 2008—a school for their children in their own village." "And so, after four years of the tribes' asking God for a school, God led five of us—His precious children to trudge on a trail towards the fulfillment of a dream." 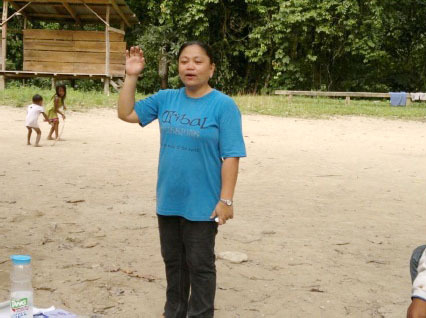 Dr. Wingky couldn't walk for long distances so she was brought to the tribe by a cart pulled by a carabao. "We were laughing at how ridiculous I looked on the carabao cart. [...] You also have to avoid being hit when the carabao pees while walking. 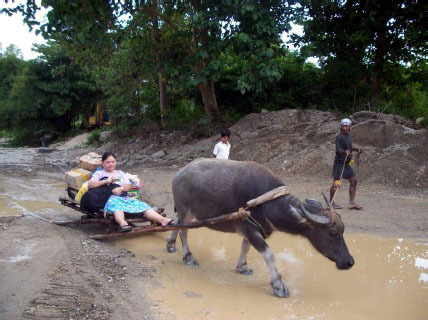 It was an amusing ride but I had no choice..."
"The carabao taxi crossing the second river." It seemed like they had a more challenging time crossing the rivers than we did. She mentions that the knee-deep river became chest-deep. 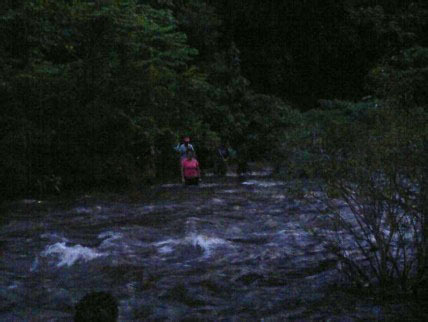 "The rains must have poured so hard high up the mountain causing the river downhill to be flooded." "The river now with raging water flooded waters." The rivers weren't like this the following day when we crossed. "To get me across, Godong (guide) had to ride the cart with me to put on some added weight. [...] The river water reached our chest. On the second crossing...the water [was] carabao deep. We had to turn back." The water reached their chest! When we crossed, the highest water level was around the crotch area. 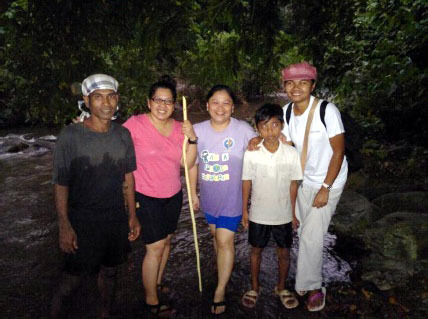 "My legs were now starting to cramp but I knew if I gave up, we will be washed away. [...] I was now praying hard as the waters hit my chin. I was now soaking wet." 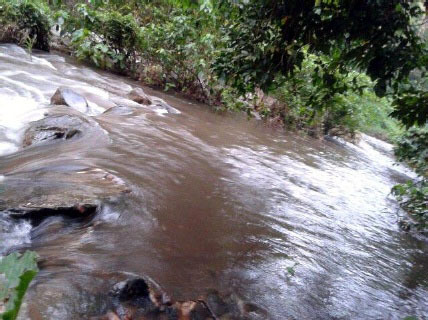 The flooded rivers looked very dangerous to cross. "...My heart was singing with gratitude to the Lord for sending His angels to rescue us... Meanwhile, I could hear inside my head my friends and family asking me if what I was doing was worth it." The guest house and where Dr. Wingky and her team spent the night. At first, I thought that it was a coincidence that pancit was served on the day that we were there. 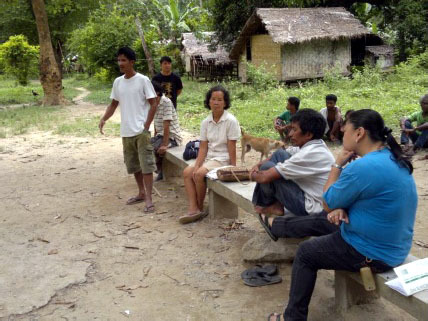 Dr. Wingky and volunteer teachers with Batak elders. I guess some of the Bataks still wear traditional costumes! Dr. Wingky during the church service. This was right before we arrived. This photo made me realized that I was there on the same day. These are the foundations of the new school being built for the Batak in Kalakwasan in Sitio Tanabag. After reading the letter, I learned that 35 students are enrolled in this school: 22 pre-school students and 13 in Level 1. And while the school is being constructed, classes will be held in the Church. I also found out that the community meeting was actually the launch of the new school. Too bad we only stayed for a few minutes. Barangay officials were seated in front for the launch of the new school. Surprise! I saw a photo of myself! Hips don't lie. That's me at the back! Dr. Wingky mentioned that there are still a lot of things needed to complete the school. She identified these items, including a Php 17,000 monthly fund for operations. She's confident that God will provide. 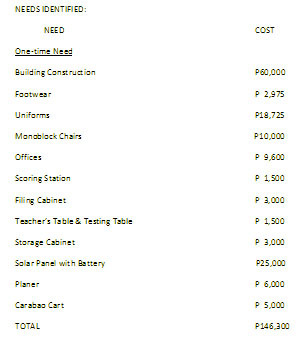 A total of Php 146,300 is needed by Heaven's Eyes to complete the school. Dr. Wingky thanked friends and partners for continuing to support Heaven's Eyes in its tribal ministry. "And yes. Everything was worth it all for the sake of the call." PS. I wish Dr. Wingky and Heaven's Eyes all the best in trying to raise the literacy levels of the Batak children. Thank you for sharing your journey with us.